Looks like it will be a Cherry start for year 2009. 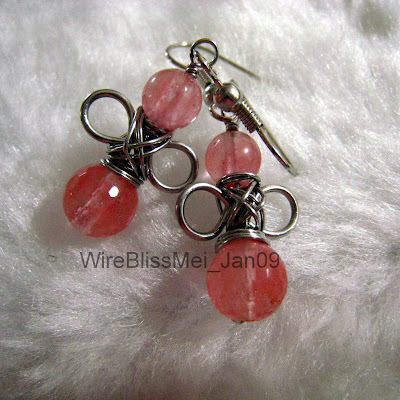 Here is my first piece for year 2009 - wire wrap angelic earrings - Cherry Quartz. I love these! They're fantastic.